Stony Mountain Ski Area officially closed for the season on Sunday, but not before holding its annual Slush Cup. Competitors got slushy as they tried to ski or snowboard over a big hole at the bottom of the hill filled with water. "It is fun, even though you know you kind of get a little bit of a chill," said Camryn Dewer who co-owns the ski area with her family. The event kicked off Sunday afternoon around 1:30 p.m.
Dewer said participants have the chance to win prizes, including one for best wipeout. The ski park, located eight miles north of Winnipeg's Perimeter Highway, operates six runs and two lifts during the ski season. Dewer said this year's winter weather ended up being a challenge for business. "This season was difficult," she said "It was very cold and there was no snow then all of a sudden there was lots of snow and then it was still really cold." 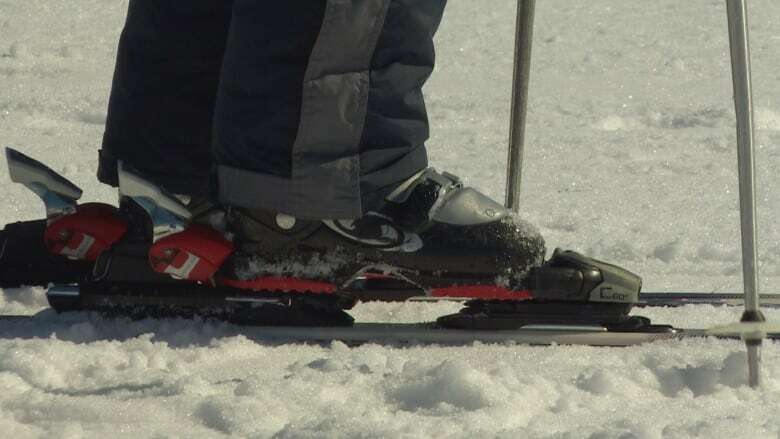 Dewer said the ski area often had to close because some of the equipment they use can't run in extreme cold.